To keep up with the most current and leading helpdesk software products, we have recently updated this article with information on 2018’s top Zendesk alternatives and their comparisons. Pricing isn’t the only factor when comparing the best help desk software in 2018. You have to consider other important factors including ease-of-use, support, and targeted users. Likewise, reviews are critical to help you get an overall picture of product performance. Where you lack experience and direct knowledge about the software, other users’ experience and expert reviews can guide you to pinpoint issues that, otherwise, are glossed over by vendors. This comparison of Zendesk vs Freshdesk, along with Desk.com and LiveAgent, should help you get up to speed when shortlisting the best help desk software for your company. We have updated the figures and ratings for 2018 based on the latest product specs, user reviews, satisfaction ratings, and our experts’ detailed analyses on these solutions. After aggregating all these elements, an overall score is given for each software. Meantime, the User Satisfaction rating takes into account user reviews, social mentions, and other sources, including our own database of customer feedback about the software. Check the comparison matrix below to guide you on finding the best help desk software in 2018 for your business. Cheers! If you’re looking for a help desk solution that can scale to your business growth, it’s a toss-up among Freshdesk, Zendesk, and LiveAgent. Freshdesk, which scored the highest in our comparison, is a fierce competitor of Zendesk. They both have almost the same features, value propositions, and target users (and some like to point out—last name). Meantime, LiveAgent has a simpler interface, but has a straightforward appeal to companies looking for an all-in-one help desk. 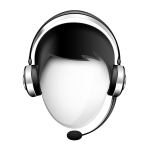 LiveAgent has the most deployment options and the easiest to set up among the solutions. On the other hand, Desk.com has pared down features focusing mainly on ticket management. 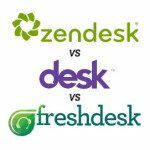 Compare Desk vs. Freshdesk vs. Zendesk: Which Help Desk Solution Is The Best?